This is a sponsored post brought to you by Blue Apron. All opinions are 100% my own. I don’t know about you, but life is busy. 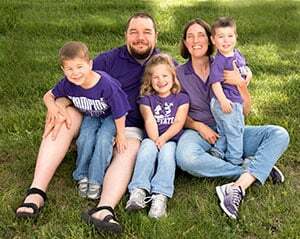 We run our own business, we have three growing kiddos and a million other things to manage. We stay on top of things most of the time but some things can easily fall by the wayside. One of those things is coming up with a quality dinner at the end of the day. 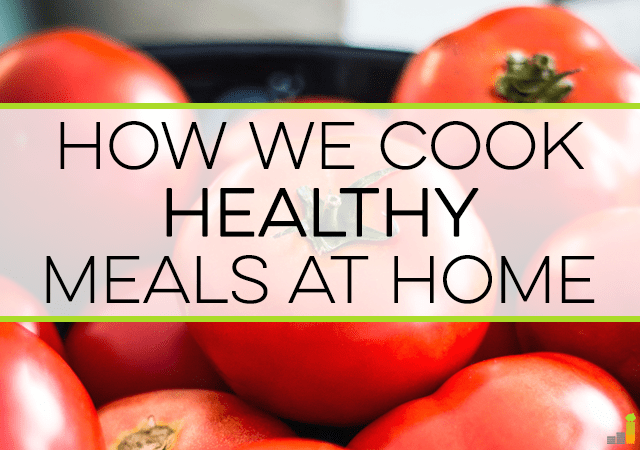 So finding an easier way to cook healthy meals at home is a big plus in our book. While we do loosely meal plan, life likes to throw things into disarray when you least expect it and the meal plan gets shot. 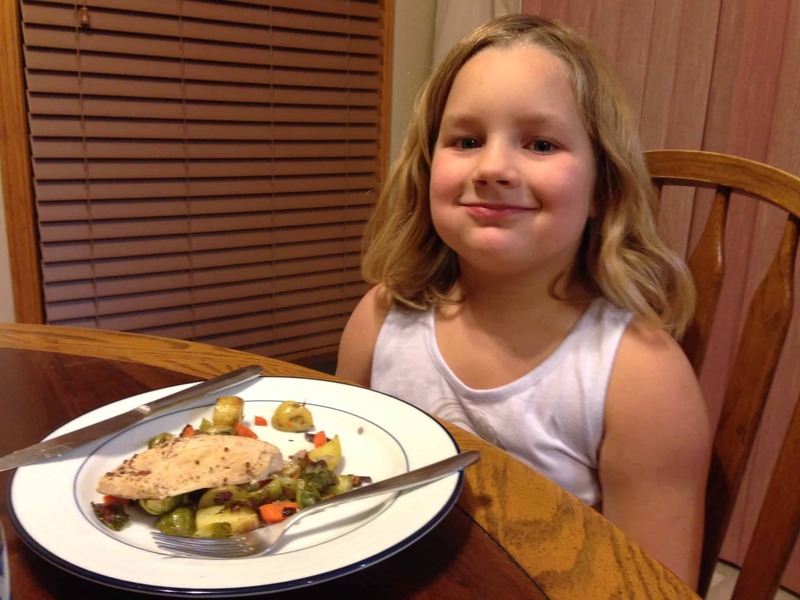 One of Mrs. Frugal Rules’ goals with meal planning has been to include veggies and fruits with every meal, but as anyone with young ones knows, it can be hard to get our kids to eat vegetables. 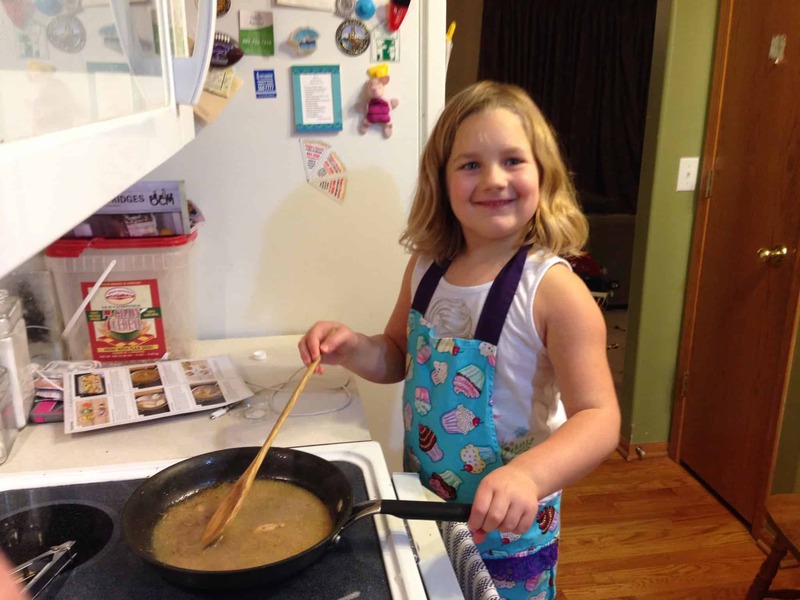 Add that challenge to meal planning and a healthy meal with all the ingredients (including spices and healthy sauces to make veggies palatable to kids) included sounds enticing. Enter Blue Apron. 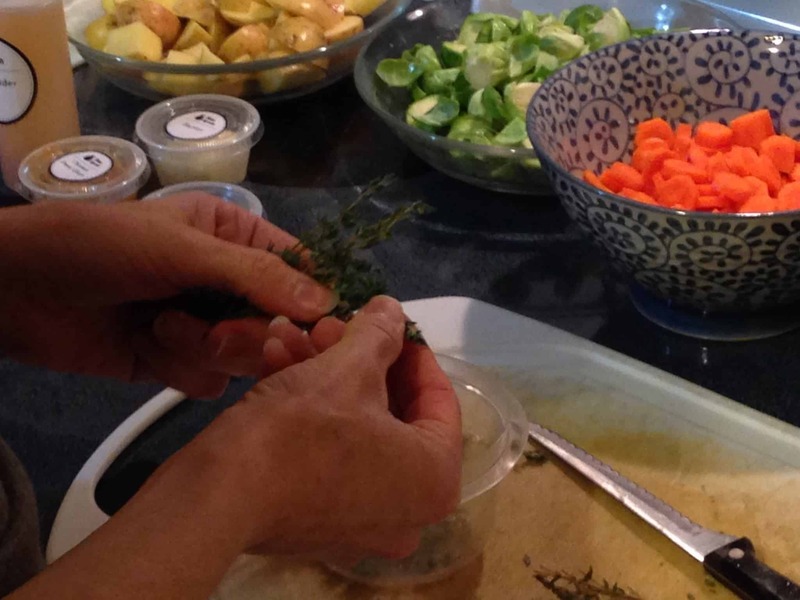 Blue Apron is part of the growing food delivery market. 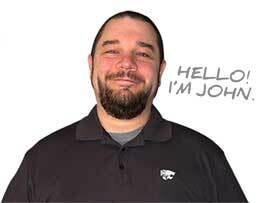 They don’t ship you groceries, so this won’t replace going to the grocery store – rats. 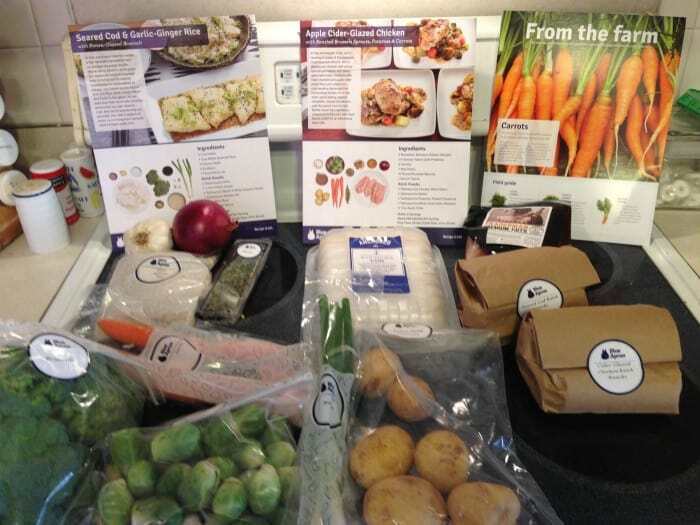 Blue Apron ships chef-designed recipes for you to prepare at home. I know just getting a new recipe doesn’t sound like it’ll help much but Blue Apron is more than that. When you sign up for Blue Apron you get three meals sent to you each week. 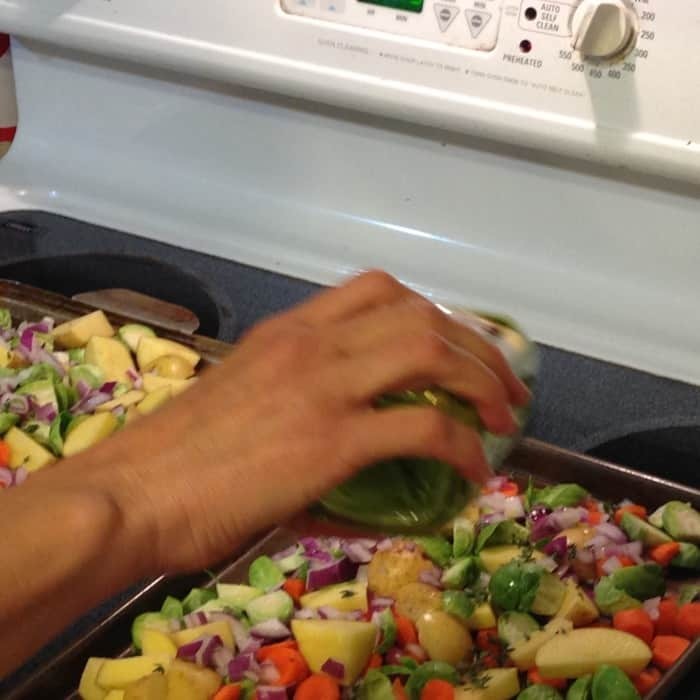 Fresh ingredients come to you in a refrigerated box for the given meal, in exact proportions with step-by-step directions on how to prepare it. 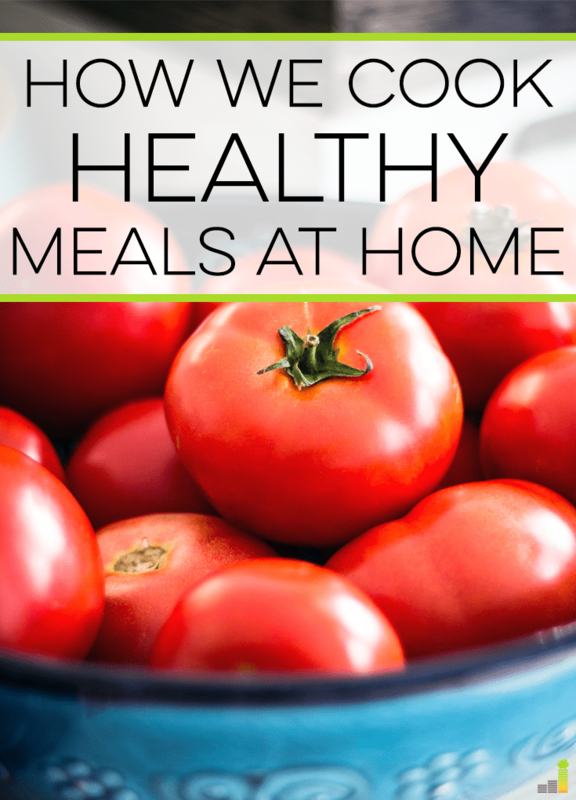 For those who don’t want a ton of work, each meal can be prepared in 40 minutes or less. Blue Apron offers two different types of meal plans – a two-person plan and a family plan. To be honest, the family plan provides for a serving of four. We have five in our family, though the serving sizes were large enough that we were able to stretch the food to take care of everyone. The cost to sign up for Blue Apron comes out to $9.99 per meal for the two-person plan or $8.74 per meal for the four person family plan. 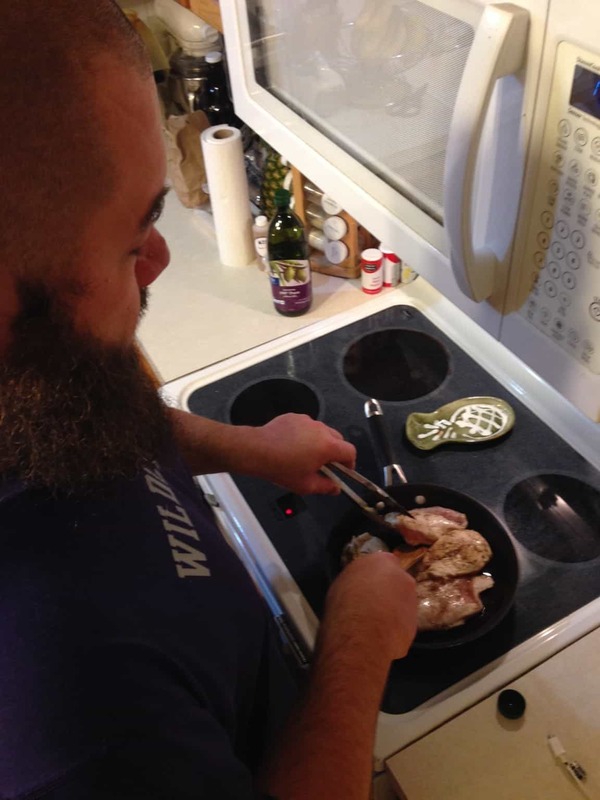 When you set up your account with Blue Apron, you answer a few questions to help them determine your dietary preferences. They take that information and create three meals to send to you the first week – with each meal being between 500-700 calories per person. The beauty of Blue Apron is the creativity they bring to your meal planning. They regularly, as in weekly, add new available meals so you’re not getting the same thing every week. If you decide Blue Apron isn’t for you, or want to skip a week or two, you’re free to do that as there’s no commitment and you can skip or cancel at any time. I used Nutrisystem to lose my 100 pounds and received my meals every month through the mail. To say it was food is generous. That’s not the case with Blue Apron. Upon opening the box we were greeted with bright and colorful produce with everything packaged neatly in individual packaging. As you can see from the picture below, we got quite the haul. With this particular meal, there were chestnuts included to add to a sauce for the chicken. We didn’t open the bag, thinking it was condiments or something like that. When we went to prepare the meal we found the chestnuts had mold on them as they had sat out for 2-3 days. Thankfully it didn’t take away from the tastiness of the meal. 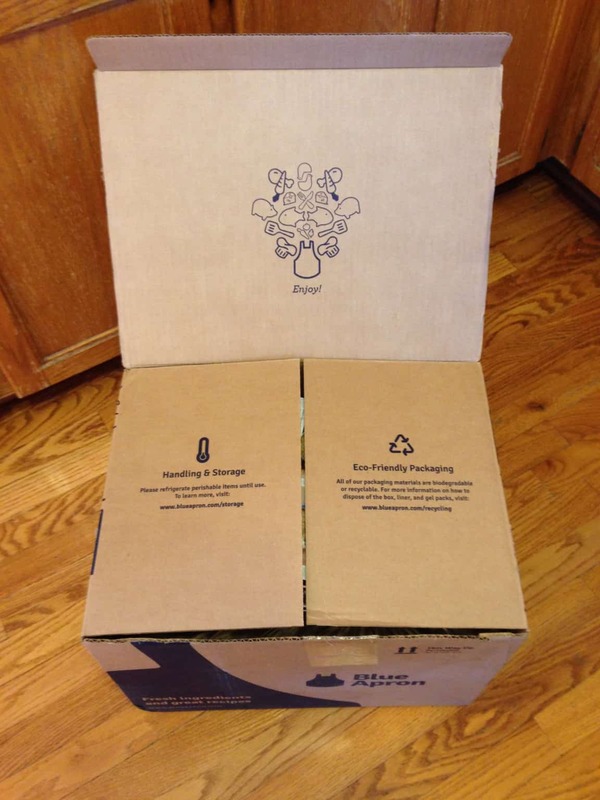 If you’d like to recycle the box from Blue Apron, they actually have a recycling program. You can either send it back to them free of charge, or check into one of their partner facilities. We just broke down the box and put it out with our normal recycling at the end of the week. What Did We Think of the Meals? 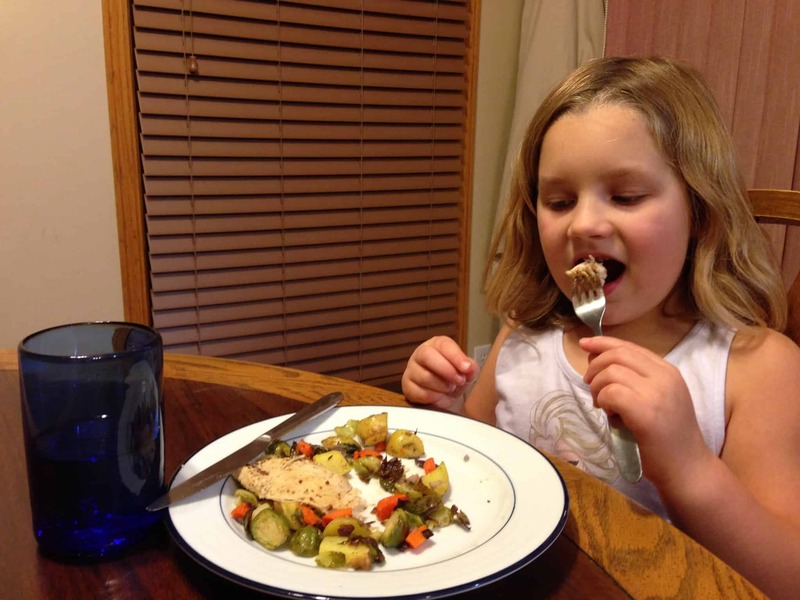 The meals were quite tasty, aside from my dislike of Brussel Sprouts. 🙂 The servings were generous and better still both meals came in at less than 600 calories a piece. I’ll put it this way, anyone that can get my kids to eat fish is doing something right. As you can see from the pictures below, everyone enjoyed their meal and were satisfied at the end of it. You can check out a list of their current recipes here. With winter around the corner, I’d love to try the Chicken Noodle Soup with Grilled Cheese Sandwiches and the Chicken & Kale Casserole with Cheddar Sauce & Parmesan – Thyme Breadcrumbs. 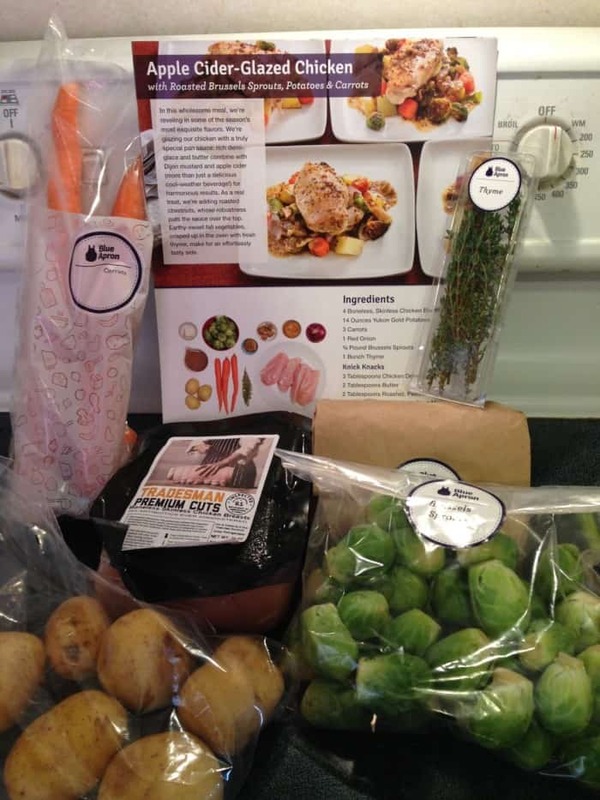 If you’d like to sign up for Blue Apron and give it a try, they’ve provided Frugal Rules’ readers the ability to sign up and get their first two meals for free. I will add that this offer is only good for the first 50 who sign up. Would you ever sign up to have meals sent to you on a regular basis? What’s your least favorite part of meal planning? I’m going to have to talk to my wife about this and see if I can get her on board. This seems like a really good way to alleviate some of the stress of trying to get the grocery prep and shopping done for some weeks. We’ve been hit or miss with that and it often leads to dining out. I haven’t tried Blue Apron, but I am so excited about this because I no longer have to problem all those ingredients. In short, it’s very convenient. Definitely worth giving it a try. I’m going to check this out. I do a lot of my meal prep by the week, so I cook a lot of chicken, rice, pasta, etc. in bulk. This seems like it would be a nice change of pace.